View one of the world’s’ most impressive art collections before the museum officially opens to the public with Italy’s Best private, early morning Vatican Museums tour. 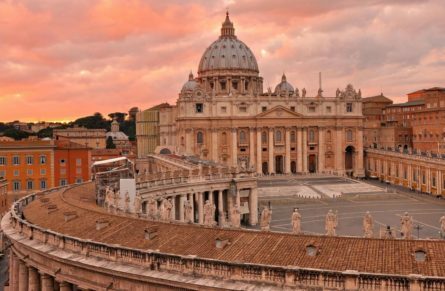 Skip the long line and have the museum all to yourself, accompanied by a private guide and a Vatican security officer. Enjoy the art without the noise that comes with the crowds. Begin in La Cappella Sistina (The Sistine Chapel), where you will view Michelangelo’s celebrated ceiling and The Last Judgment fresco masterpieces. Take a moment to breathe in and absorb the atmosphere; no pushing and shoving or standing shoulder-to-shoulder with fellow visitors, as you will be some of the first to arrive in this magical space. Take in the ambiance as your guide gives you detailed descriptions while you wonder through and observe the majestic artwork at your own pace. You may also visit the Pinacoteca where you will see remarkable paintings including Caravaggio’s Deposition of Christ and Raphael’s Transfiguration, then continue to the Museo Pio Clementino, which houses the Pope’s collection of Roman and Greek statues, including the iconic Laocoon and Apollo Belvedere. Enter the magnificent Le Stanze di Raffaello (Raphael’s Rooms), where you will get an up close and in depth look at the frescoes he created, such as The School of Athens, for the apartments of Pope Julius II. Finally, bypass the long line and use a privileged entrance to access St. Peter’s Basilica directly from the museum. Here you will see Bernini’s Chair of St. Peter and Michelangelo’s Pieta as well as the spectacular dome that he designed. As the burial place of St. Peter, Rome has always been considered a holy city – a second Jerusalem- St. Peter’s Basilica, the greatest landmark of sacred architecture ever built, is stunning in size and magnitude. Having taken more than a century to complete (1506 to 1616) under the tutelage of eighteen popes, the fascinating history of this vast project can be found within the interior’s rich gilding, magnificent statuary and solemn papal monuments. Dress code: shoulders and knees covered. This Vatican Museums night tour takes advantage of special opening times on Friday evening to tour the museum’s art collection with a private guide. During this private Uffizi Gallery tour and Oltrarno neighborhood stroll in Florence, visit artisans and view artistic masterpieces.